I have come 3 separate appointments with Ann, who I absolutely love! I received 3 treatments of lipo lite and dima slimming. My first time I lost 4 inches around my waste, it made my skin feel tight and you can totally see a difference with her before and after pictures. The second time I had 3 inches off my waste and stomach, the 3rd time I had an addition 3 inches off. I have lost over 40 lbs. with the inclusion of eating more healthy and going to the gym. I am coming again for my last appointment and I can’t wait for the results of that. This procedure did not hurt at all! And DR Rohrer makes you feel completely comfortable and I felt like I could talk to her about anything! I would recommend this to any mom or anyone trying to feel better about their bodies after having 2 children back to back, my stomach looked awful with the stretch marks and mommy pouch. I wanted to feel good about myself again and Ann helped me and made me feel beautiful again! Thank you so much DR Rohrer, you are amazing. I have even had two other people I recommended and shown before and after pictures of myself and had them completely convinced and it worked for them as well! Crystal lume medical spa is affordable and she has excellent customer service. My experience with the VI Peel was incredible. It was a quick process at Crystal Lume with Ann who made me feel comfortable. I’ve had sun damage since I was younger and this Peel removed sun freckles after 3 days. The peel looks a little orange so don’t be alarmed that your skin will stay that way. When it peels it is absolutly glowing and gets even better as weeks go by. I would definately reccomend this peel to anyone who wants results. Ultra Sound Dima Slimming gave me instant results with no surgery or downtime. The first time I had this procedure done at Crystal Lume I lost 5-6 inches from my stomach. After giving birth I had a lot of excess fat, fluid and loss of muscle tone. This made me get in the grove to feel like I could actually do something in conjunction with excercise and diet. If you have a few hours to look and feel great then do this for yourself. I decided to try Lipo LaserSlim with DR Rohrer at Crystal Lume because I only had an hour and this was very relaxing. He gave me these blue tinted glasses and ear phones with relaxing music while I rested on this comfortable bedr. There was no discomfort and when it was over 30-40 minutes I had lost an inch around my upper thighs. This was a trouble spot for me and am looking forward to getting around my knee where it looks like fat or fluid has built up. Even with riding my bike I can’t seem to get rid of it. Also, I hear that you can do that upper arm area as well where it hangs down. We all have trouble spots that seem to not want to go away even with diet and exercise so this is fantastic. I wanted to laser hair my face and underarm area because I was just tired of tweezing and my underarm was just me wanting to not shave it anymore. I didn’t mind it taking 4 or 5 treatments because it didn’t hurt with the BLT cream she puts on the areas you are getting done. It is a pretty quick process and each time you notice less and less hair growing back. I really felt comfortable with Ann and she knows what she is doing and with great results. Thanks Ann, I will definately come back to get more done in the future. I wasn’t sure at first about Botox and have heard good things and bad about it. DR Rohrer knew where to put the injections to make sure it looked right and I was comfortable. I wanted between the eyebrows and the forehead plus a little extra around my eyes for wrinkles. This worked wonders I get compliments all the time that I look younger. Plus I used to get a headache when it would rain or the barometic pressure would go up. Maybe a coinsidence but I have not had one in two years since I started the botox. That was a bonus for me. I first used Juvederm(filler) for my lips and I loved it. DR Rohrer knew exactly how much to inject so it wouldn’t be so noticeable that my husband didn’t notice except he said there was something different about me but he wasnt sure what. I loved it because it plumped my lips especially on the top. I also like that it lasts for a year. "I just had injections at Crystallume on Saturday, and look so much younger and refreshed! Dr. Rohrer did a fantastic job applying just what was needed. I'm very happy with the results." "I can't say enough about Dr. Rohrer & Ann in 500 words. I've had several procedures and treatments done and have never been disappointed. Their prices are very reasonable and the results speak louder than words. They are accommodating in every way, flexible with scheduling and when you arrive, at the spa, they are warm, friendly and professional. Seriously, I've been aging backwards, since I found them! " If you want GOOD results at GREAT prices, this is the place to go! On May 2017 I went in for a consultation to get laser hair removal on my face and neck. I was attended on time, DR.Rohrer is very friendly and informative, she will provide you with the information you need and MORE…that’s how I got a sense of how much experience he has. My previous experience at a different spa: Last year I got 5 laser treatments on my face and neck at a med spa in Olney and got no results, so I stopped going; also because it was expensive, I spent more than $2,000 without results, so you can imagine my frustration and disappointment. So this year, I decided to go to DR Rohrer spa for a consultation, she gave me such a great price that I thought to myself “well, let’s give it a try”. My current experience at Crystal Lume Med Spa: OMG is he good! During the treatment I told DR.Rohrer about my previous experience; he is so knowledgeable that explained to me the reason it didn’t work was because at the other spa they were using the wrong laser equipment for my skin color and hair type. he also explained to me the different types of laser machine and which one suits my skin color. After my first laser treatment with DR Rohrer, I saw the results, I would say more than 50% of the hair was removed and didn’t grow back! And was more than enough reason for me to go back for my second treatment. DR>Rohrer understands women, and our need to be beautiful inside and out. 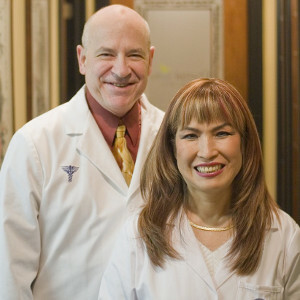 He is very personal and will prepare a customized treatment/regimen that works for each individual needs. He recommended I get the VI Peel, I wasn’t planning on getting a peel done, but I’m glad I did…It was painless, I follow the post treatment instructions Ann gave me, along with some care tips. I’m surprised how beautiful and healthy my skin is now. Most my acne scars and marks are gone! He recommended a 2nd VI Peel, but not now in the summer, she recommended me to wait until the fall/winter, because peelings and sun don’t go well. At DR.Alan Rohrer I’ve never felt that I’m being pushed to get treatments done. He told me where to research online on procedures, so you hear more than just her opinion; and even tell what questions to ask if I was going to consult other spas. Which I like that about her, that’s a great help. So people can compare apples to apples. In conclusion, I’ve been to numerous med spas in the Montgomery County area and never felt so satisfied with the results as I am when I leave crystallume med spa. The place: Is well equipped, it may not be fancy like other spas, but that’s not important to me. What I care is that he has the proper equipment and knows what he’s doing. I really don’t care for luxury spas with fake friendly staff that only take your money. And I’m glad I found crystallume medical spa, I’m definitely getting my future treatments at Crystal Lume. The DR Rohrer in charge is extremely informative, carefully explaining the procedures she performs in a lot of detail, and showing examples of before and after photos of past clients so you know what to expect. He’s very friendly and personable as well, and will recomment products for you based on your skin’s needs (but isn’t pushy at all, either). I came here for a SilkPeel, which was fantastic. I left with smooth skin and a pumpkin mask that’s been working wonders on my face. He even performed extractions and provided a mask for me while I sat there for no extra cost. I really recommend this place. He does all sorts of other treatments and prices are great! I went into Crystal Lume med spa after my sister had recommended it to me. DR Rohrer was extremely helpful and informative about my options in treatment and what would be best for me. After getting my first electrolysis session I am very pleased with the results and will be going back for more in the future! Crystallume medical Spa is the Best place to get the treatment . The owner of the Spa is really nice she will explain you the whole procedure in detail and what is good for us . You can trust her totally she makes you feel really comfortable . When you leave the Spa you are more confident than ever before. Dr.Rohrer wants you to leave happy and she makes sure of it. I have been a client with crystallume mdical spa several years and have always been happy with the service. I recently had some injections (lips/forehead) and botox. I also went back for a VI Peel. I’ve had several and the results are amazing. Ann is very knowledgeable and the prices are very reasonable. While I was numbing, I relaxed in a very nice massage chair and DR Rohrer was so gentle during the injection that I barely felt anything (cheeks). The ultrasound cavitation (facial sculpting) was also a pleasant experience. I’ve only had one treatment so far (yesterday) and noticed the skin on my face feels tighter today. Ann was extremely attentive and really took her time making sure she got everything just right. I would recommend treatments here! I purchased a Groupon for laser hair removal treatments here and have had no trouble using the deal at all. I’ve now used all the sessions from my Groupon, but I have been back 3 times because of the awesome results I’ve seen. Ann is very flexible with appointments and has always accomodated my requested times. Ann is a bubbly, friendly lady and I have had excellent results here, even after the very first treatment! Great experience at a reasonable price. It’s very convenient to have electrolysis and laser hair removal done at the same time. Ann was very friendly & professional. I would recommend her services to anyone in need of hair removal! I am pleased so far with my peel results. It’s only day 2 and already many brown spots on my face are gone. Also the collagen injections on my cheek bones are very subtle and natural looking. A little bruised on the one side still but I’m sure will go away soon. Price was high but not any higher than other places. Ann showed me tons and tons of before and after pics of her previous clients and that was very helpful! I have had hair removed via laser and electrolysis before and was looking for a good place to go to in Frederick. You could not find a friendlier owner, better quality of service or cheaper prices! Overall A+ experience. I came here for a SilkPeel, which was fantastic. I left with smooth skin and a pumpkin mask that’s been working wonders on my face. She even performed extractions and provided a mask for me while I sat there for no extra cost. I really recommend this place. He does all sorts of other treatments and prices are great! Go see DR.Rohrer! You will not be disappointed. You get great service and great value. Trust her opinion. He really cares about he's patients. If you care about your appearance take some time with Ann and spend a few dollars. Just like your car you need to take your face in for regular maintenance. It’s not a one and done cure all.